im new here and i cant believe there isnt a thread like this yet. Here goes. I have a set of aftermarket wheels on my '07 EX-L 2WD. It rolls on 24x10 inch wheels on 275/25/ZR24s. Yes keep pics coming! Really interested in what the V looks like with some rims. Looks terrible. IMO And I bet it rides even worse. 15x7" Cragar/Unique rock crawlers, 235/75/15 BFG ATs. CHECK OUT MY CR-V! [UPDATED: 13 MAR 2007] || NEVER SLEEP, NEVER DiE. wow do you really go off road with your CRV? Yeah, thats mighty agressive looking. Definalty a 5 star ride. Oh yeah, if your insurance askes if you want to insure your wheels, do it. They asked me yesterday, and I said no, and last night, I broke 2 wheels and busted 2 tires. Road construction company did not merge 2 roads together right and there was a 3 inch rise from one road to the other with a sharp edge on it and I got it good. $1600 damage for 2 replacement wheels and 2 tires. Ouch! Last edited by Peacemaker1911; 04-17-2008 at 02:24 PM. Here is the road where I broke my wheels. As you can see they put the reflecters in wrong spot. the cones show the correct spot they should have been. 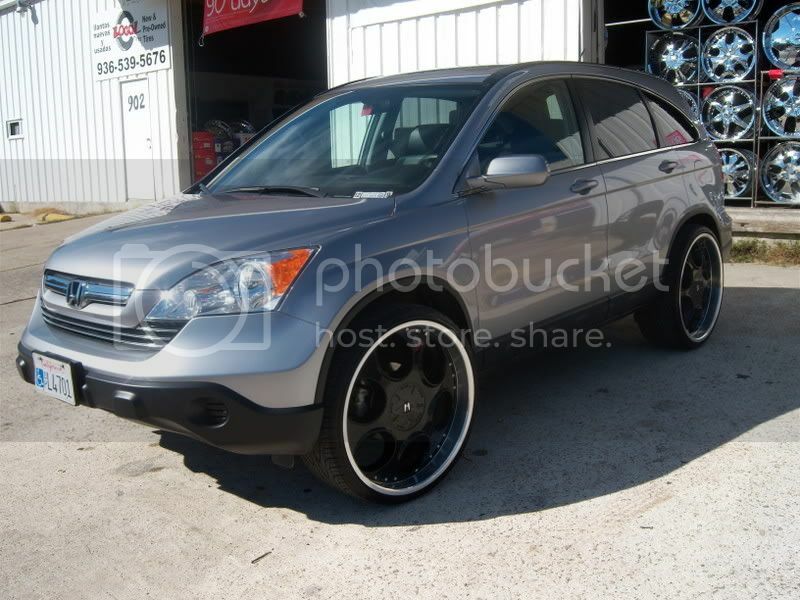 Pics of "Wannabe" chrome dipped Rims for 2007 CR-V for $60.00 for 4? 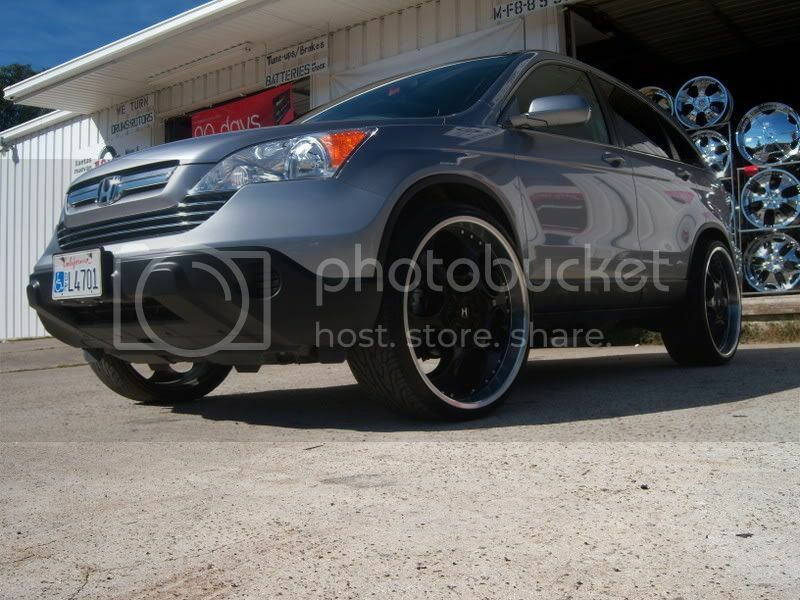 Where can I get these rims?